Amanda Holland, English teacher at Robert Clack School in Dagenham, first heard about Skills Academy from her Head of Department. Amanda has been delivering Skills Academy in weekly Skills for Life lessons, which teaches Robert Clack students key life skills including literacy and numeracy. Many of the students in the group taking part in Skills Academy are boys. “Using football to motivate adolescent boys to read works so well,” said Amanda. “At this stage in their lives they often become apathetic about reading, so giving them reading material they like is crucial. As well as being an English teacher at Robert Clack School, Amanda also teaches two lessons of P.E. a week. This means that as well as helping students with their reading, she can also help them when it comes to practising the football skills they’ve learned through Skills Academy. Skills Academy has proved extremely successful for the Year 8s at Robert Clack School. “I monitored the students’ progress throughout the programme,” explained Amanda. “They took a reading test at the start of the programme and one at the end. The results were amazing – every single student had progressed in reading age. 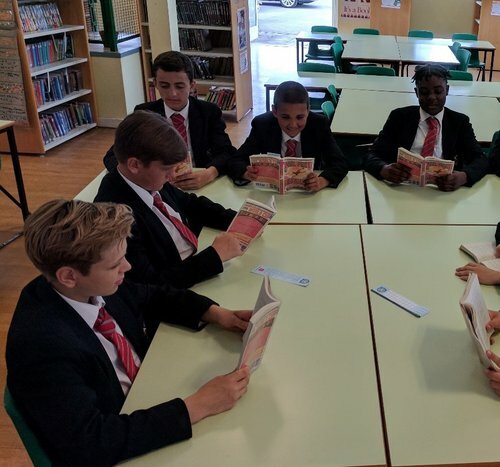 Amanda has also received positive feedback on the students’ progress from other English teachers at the school, who have reported back that the students’ attitudes to reading have improved, and that the students are increasing the amount that they’re reading in their own time.